Oxygen can now safely be delivered via syringe or IV. At the risk of sounding obvious, breathing is kind of important for humans and other animals. 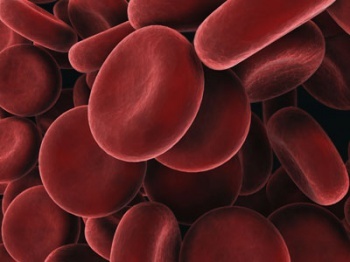 Oxygen in the blood powers pretty much every bit of our body, including that oh-so-critical brain. Ergo, not being able to breathe because of a blocked trachea or damaged lungs is a bit of a problem; medical personnel only have so much time to remove the blockage or get the lungs going before a lack of oxygen leads to brain damage and death. That is, until now. A team led by researchers at Boston Children's Hospital have developed a method to directly inject oxygen into a blood vein, restoring normal blood-oxygen levels "within seconds" while the test animal fails to take so much as a single breath. Introducing pure oxygen to the bloodstream is horrifically painful and even fatal, which is why this oxygen is instead delivered in a liquid solution of million and millions of oxygen/lipid microparticles. In testing, even when the animal's trachea was completely blocked, the solution was able to keep it alive for 15 minutes without breathing, and reduced the onset of brain damage and cardiac arrest. However, this is not a permanent setup - the fluid that carries the microparticles would eventually overload the blood if used for over half an hour, said project lead Dr. John Kheir. Still, even if it doesn't mean you can swear off breathing for the rest of your life, it doesn't invalidate the potential lifesaving breakthrough. "This is a short-term oxygen substitute -- a way to safely inject oxygen gas to support patients during a critical few minutes," says Dr. Kheir. "Eventually, this could be stored in syringes on every code cart in a hospital, ambulance or transport helicopter to help stabilize patients who are having difficulty breathing." Kheir was motivated to research the idea of injectable oxygen following a 2006 incident, where a little girl in his team's care died before they were able to place her in a heart-lung machine. "Some of the most convincing experiments were the early ones," he says. "We drew each other's blood, mixed it in a test tube with the microparticles, and watched blue blood turn immediately red, right before our eyes."